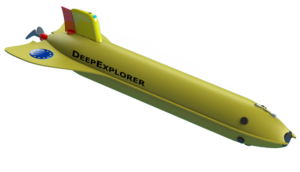 The development of two new underwater platforms, deep (2400 m) and ultra-deep (5000 m) gliders, is the aim of BRIDGES. Several technical achievements must be made in order to produce these platforms. The market needs that the gliders could fulfill are also addressed because the gliders are to be used commercially in the fields of environmental monitoring, oil and gas, and deep sea mining. CSCS, a core member and WP leader, is responsible for defining and preparing the new systems to meet standards regarding measurement data and metadata. In addition, CSCS will be specifying and preparing the oil and gas payloads to be tested, installed, and demonstrated on the two prototypes. In addition, CSCS has used its experience to define in detail the types of applications the market is likely to support for these novel platforms, including innovative mission design tools to further add value/minimize cost of glider missions. Ultimately, these gliders will be commercialized by partner ALSEAMAR. BRIDGES receives funding from the European Union’s Horizon 2020 research and innovation programme under grant agreement No 635359.